The Harry Ransom Center’s collections offer amazing opportunities to find connections between diverse authors and artists. 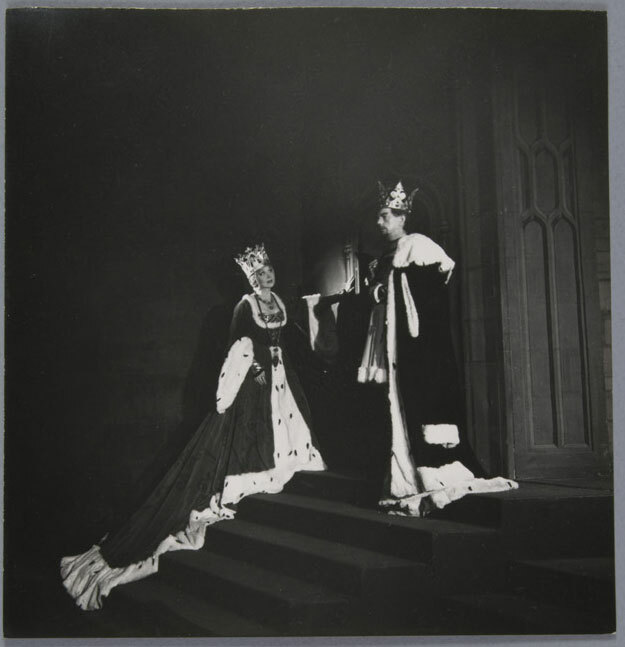 A great example that spans literature, photography, and costume design is a group of photographs featured in the current exhibition Shakespeare in Print and Performance. 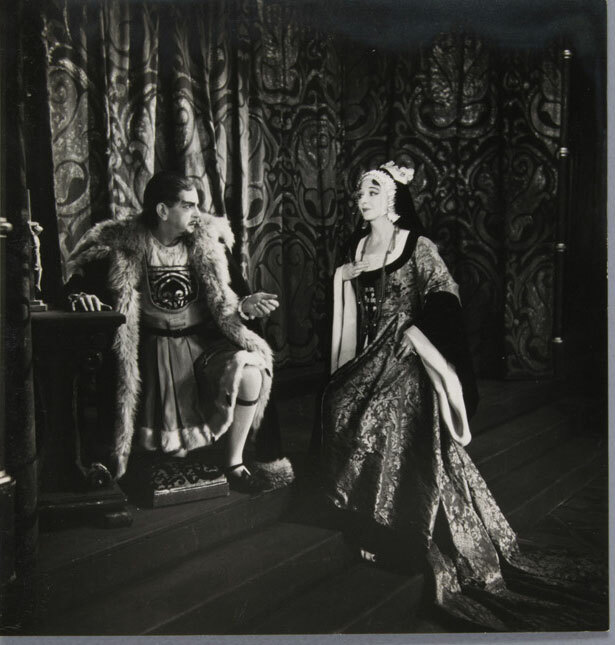 In London, around 1857, the firm B. J. Simmons & Co. was established as a theatrical costumier. The firm grew with the evolution and development of theater during the turn of the twentieth century, surviving two world wars, the economic depression of the 1930s in England, and even the introduction of cinema as a new entertainment form. Simmons & Co. was one of the preeminent costume firms until they ceased operations in 1964. With more than 100 years of documentation, the company’s research library became part of the Ransom Center’s holdings in 1983. 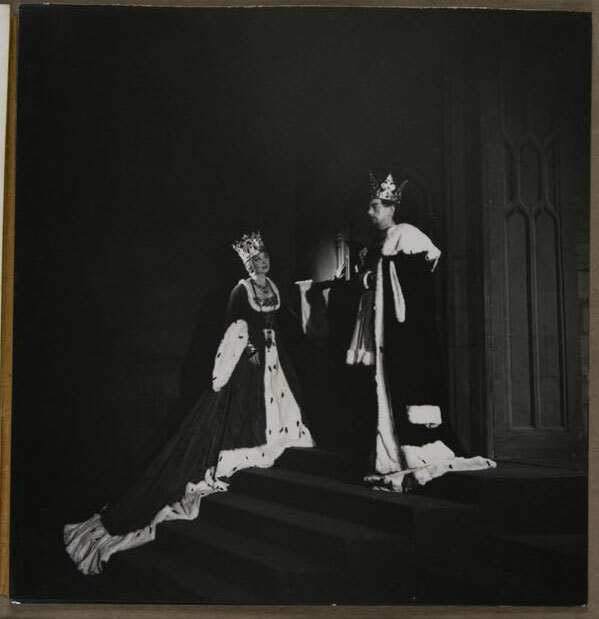 Shakespeare in Print and Performance features pages from the Production Portfolios, which depict several of the firm’s costume designs for Shakespeare plays produced from around 1890 to 1960. 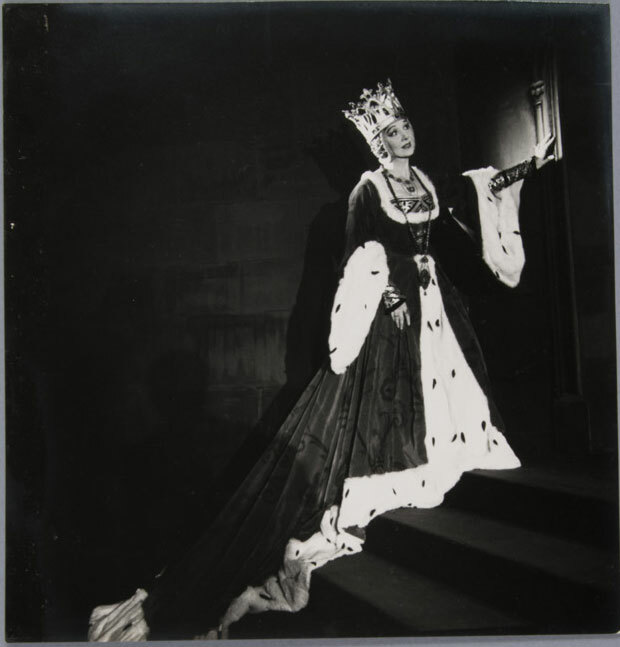 One Production Portfolio contains five photographs by the multi-talented Cecil Beaton—English fashion, portrait, and war photographer, and two-time Academy Award winner for Costume Design for the movies Gigi (1958) and My Fair Lady (1964). 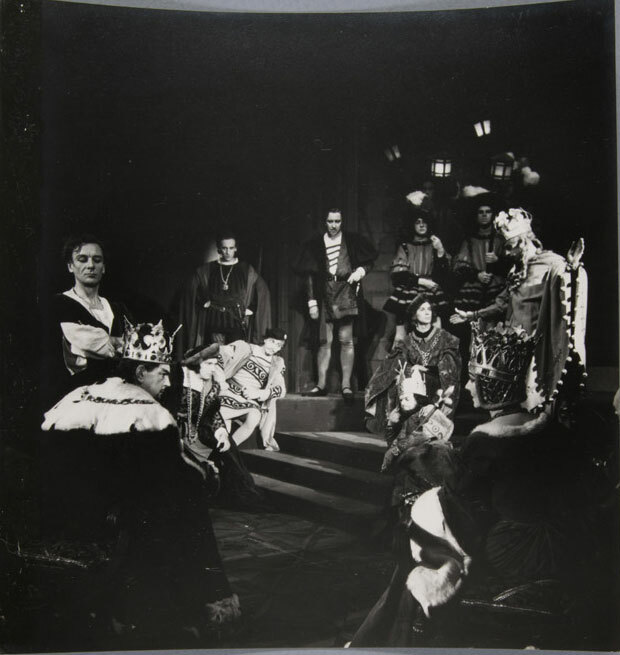 Beaton’s photographs in Simmons’s portfolio depict Sir John Gielgud’s production of Shakespeare’s Hamlet (ca. 1944) with beautiful, strong contrast. Critics argued that Gielgud was one of the finest Hamlets of his generation. 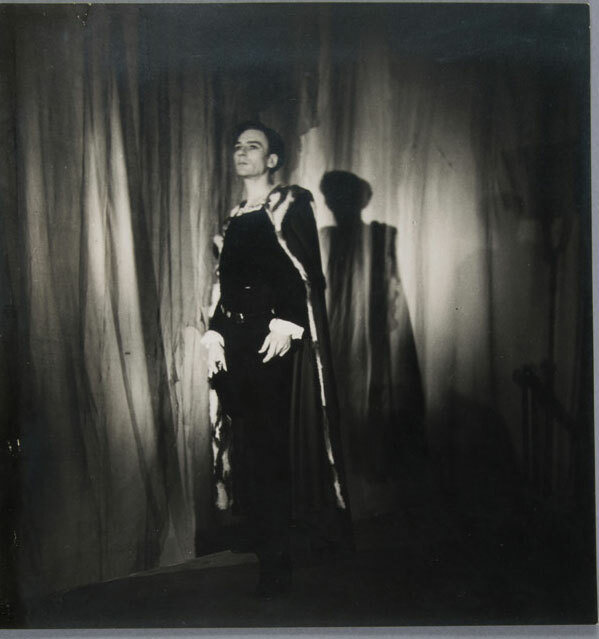 During the summer of 1944, Gielgud brought his Hamlet to theaters across a Britain weary from war. 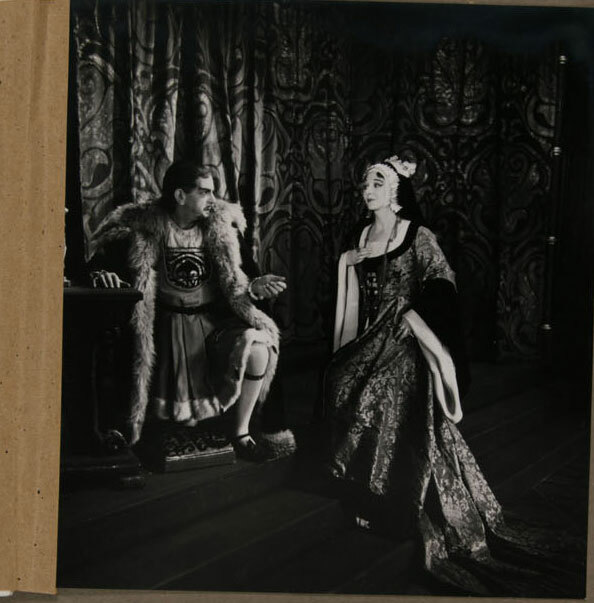 To accommodate travel, the sets and the costumes were simplified from his earlier productions in London during the 1930s. 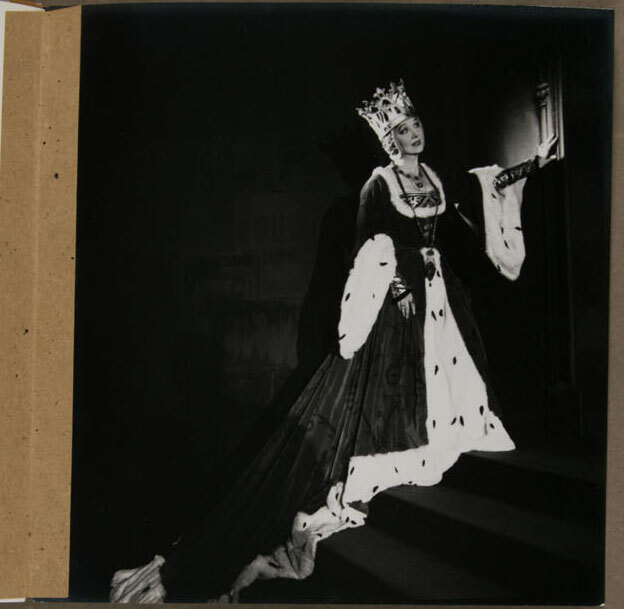 B. J. Simmons & Co. designed the costumes for this production, and these photographs were part of Simmons’s portfolio documenting the company’s work—which is why they were taped into the scrapbook. The photographs were attached to each other using kraft-paper tape along the left edges, in the style of a booklet, and the last photograph was attached overall to the album’s page. 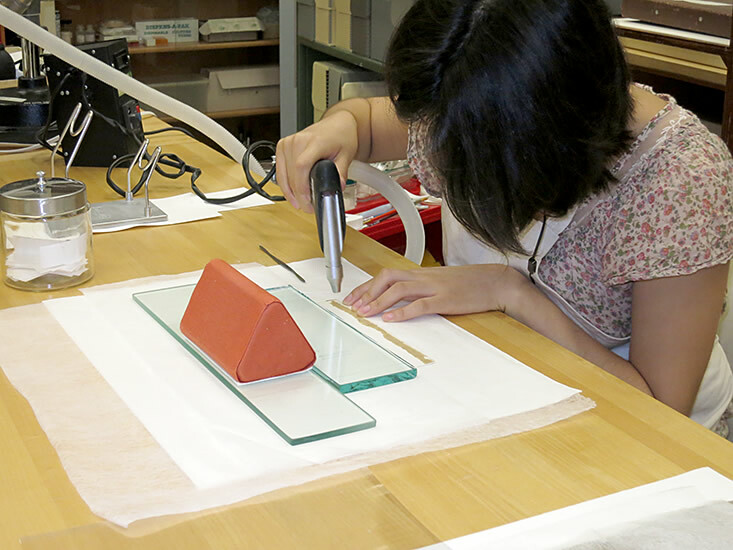 The photographs could not be exhibited this way, so curators brought them to the photography conservation lab. Conservators evaluated the photographs’ condition and discussed them with curators and the exhibition services team. They determined that the photographs should be safely detached from the album. 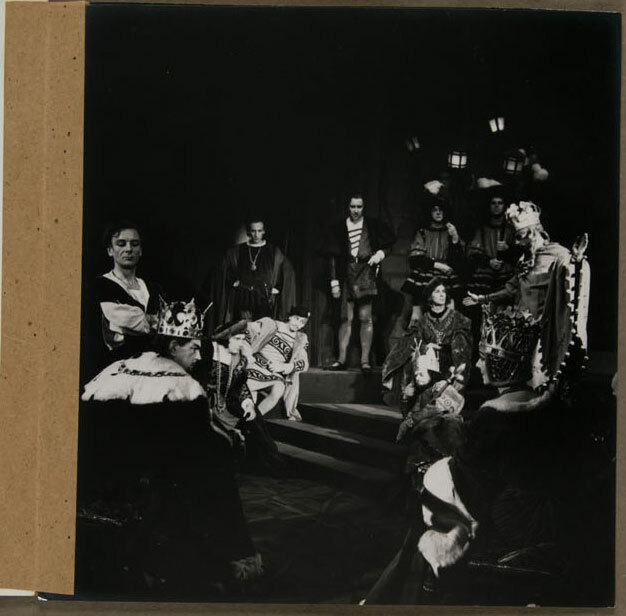 The conservators conducted several tests to determine the best method to soften the adhesive without harming the photographs or the album page. This was possible using a “preservation pencil” which produces a warm mist that facilitated removal of the kraft-paper tape and other adhesive residues from the photographs. 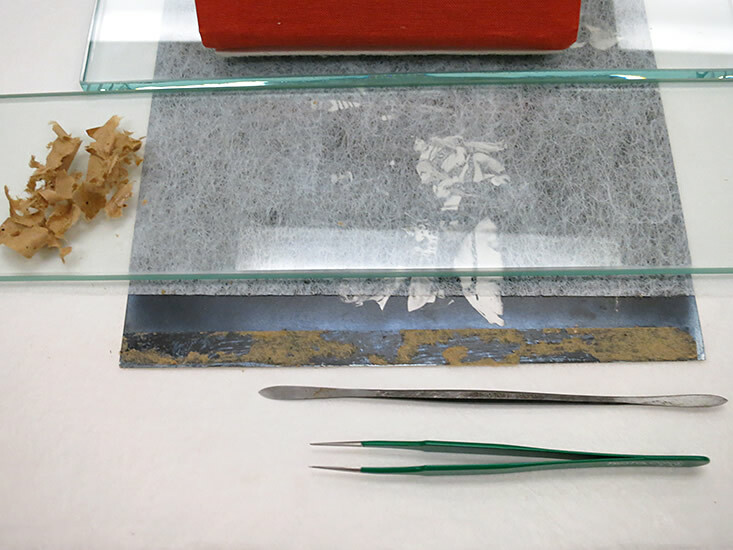 In the case of the photograph adhered overall to the album’s page, conservators had to apply a little more humidity and carefully detach the image using small spatulas and tweezers. After the cleaning and slight humidification, the photographs were flattened to be matted and framed for the exhibition.